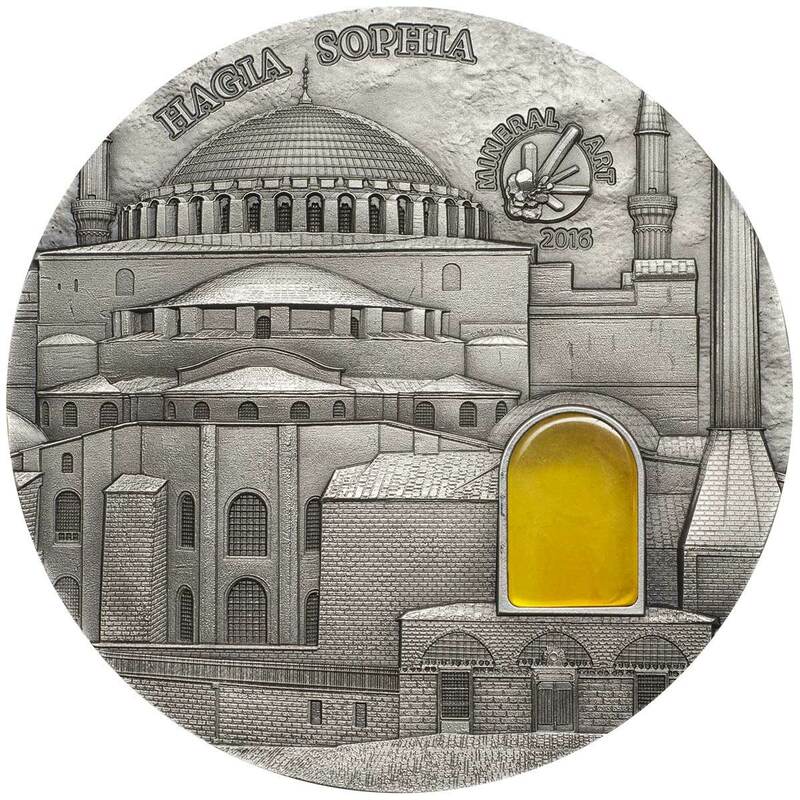 There’s been some intense competition in the art-architectural coin market for some years now. 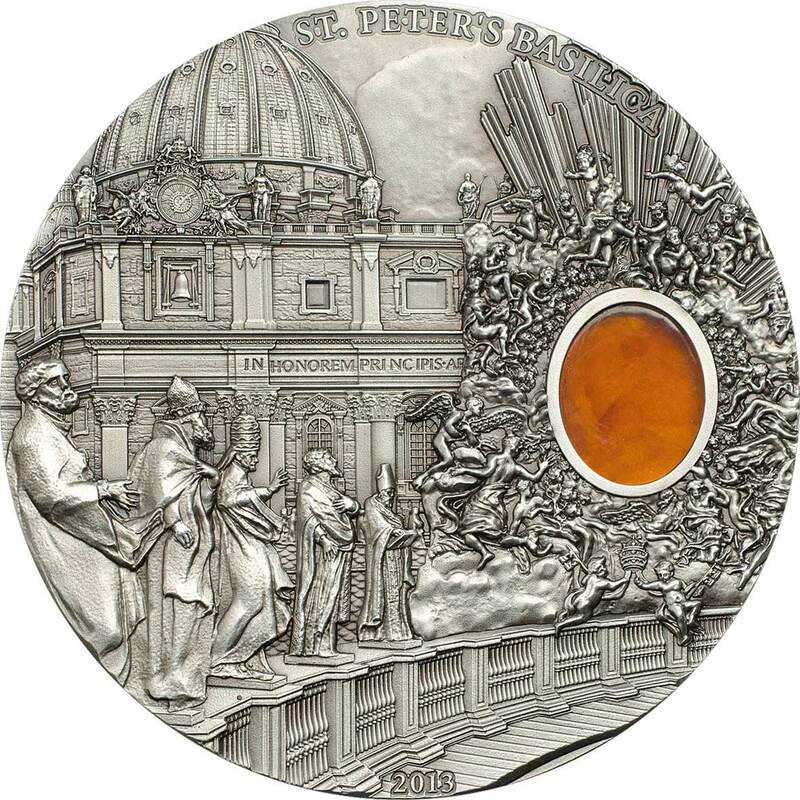 The pedestal that Coin Invest Trust’s seminal Tiffany Art series has sat on for over a decade has been gradually chipped away at by an increasing number of rival series that have raised the quality threshold to hitherto unreached heights. Chief amongst these competitors is Mineral Arts, a series ironically also produced, but not issued by, CIT. 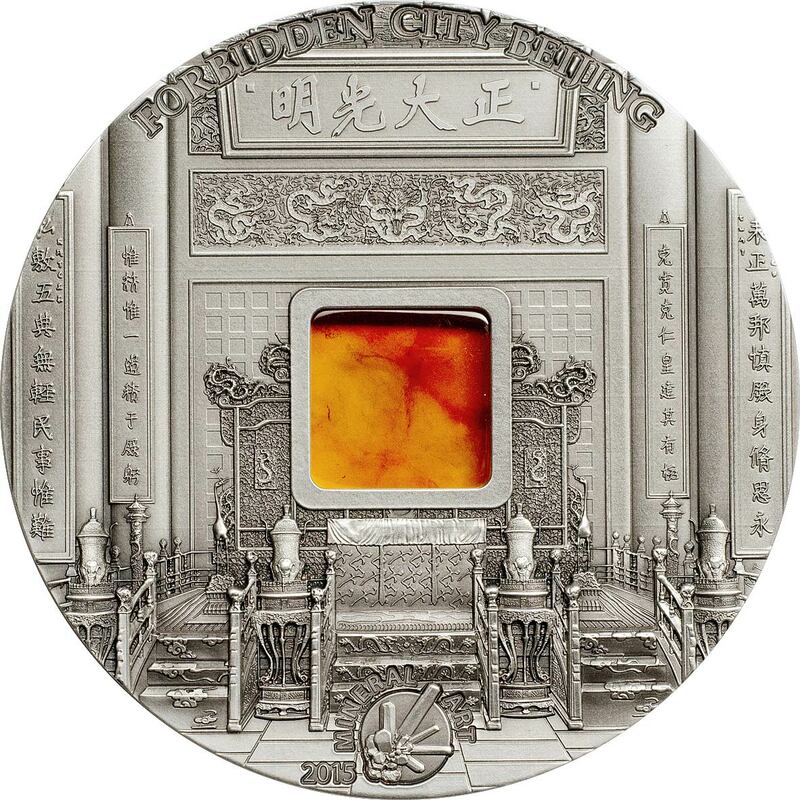 Mineral Arts are typical architecture coins from the specification standpoint and follow Tiffany Art quite closely in that regard. The main difference is that these are tightly focused on specific buildings instead of general architectural styles. This series welcomes a new addition every year and has been doing so since the debut coin in 2009. 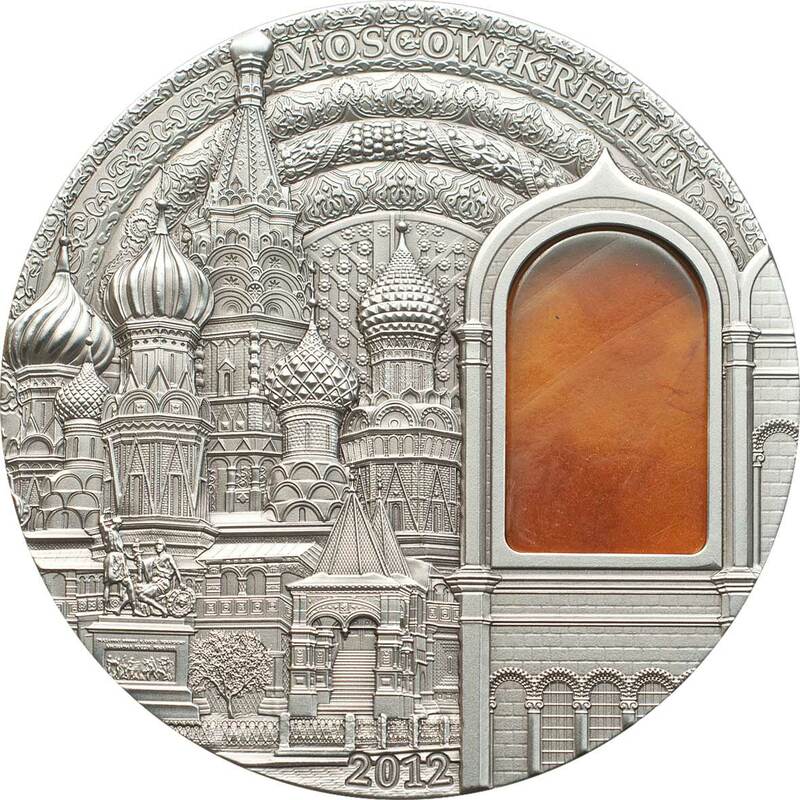 The first coin to launch featured the fabled Amber Room and was a nicely detailed design, if a little two-dimensional, quite similar to the 2010 Sagrada Familia coin. From 2011 onwards we begin to see a better depth of relief with a design that starts to take more advantage of it. By the time we get to the latest coin, these are fully capable of going head to head with the best in the genre. In general, one side of the coin depicts the subject structures exterior, and the other face, most often the obverse, goes with interior details. There have been exceptions. 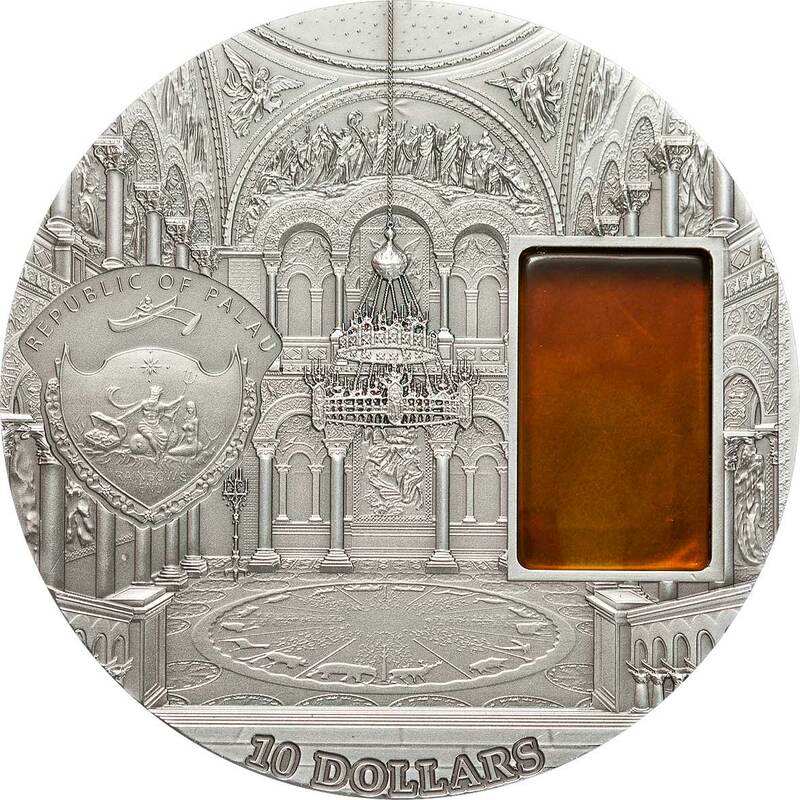 For example, the Amber Room is only an interior structure, and the Sagrada Familia concentrates on the admittedly stunning exterior, the interior we’d imagine being very difficult to depict well on a coin. Again, from 2011 we see a stricter design brief being implemented and more uniformity. The mineral window (an amber variant) is usually well integrated into the design, but some are obviously more successful than others. 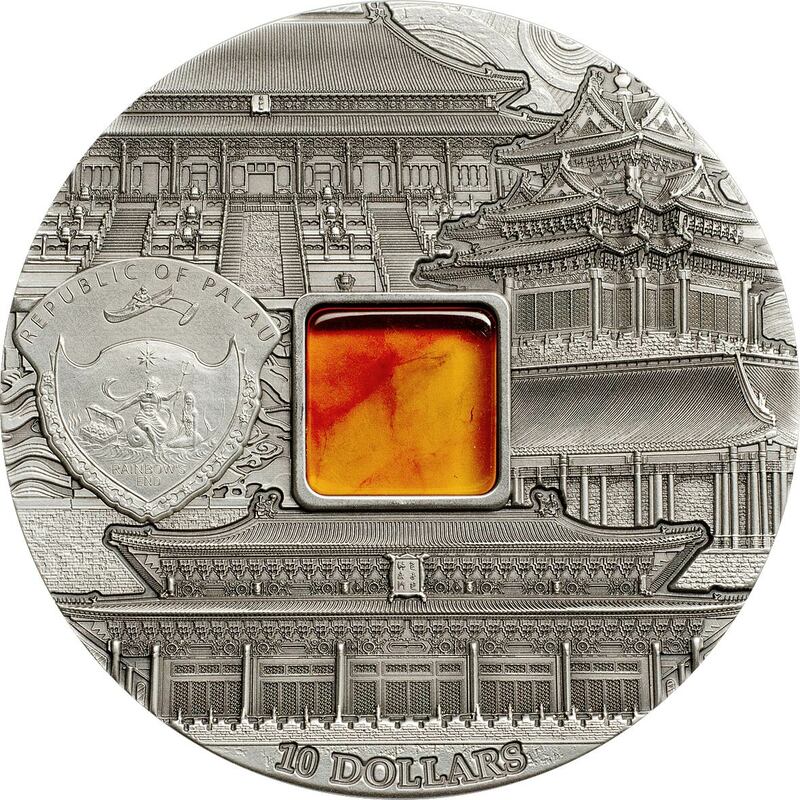 The Forbidden City coin moved away from that approach in 2015 in a nod to older Chinese coins that had a square hole through the middle of them. 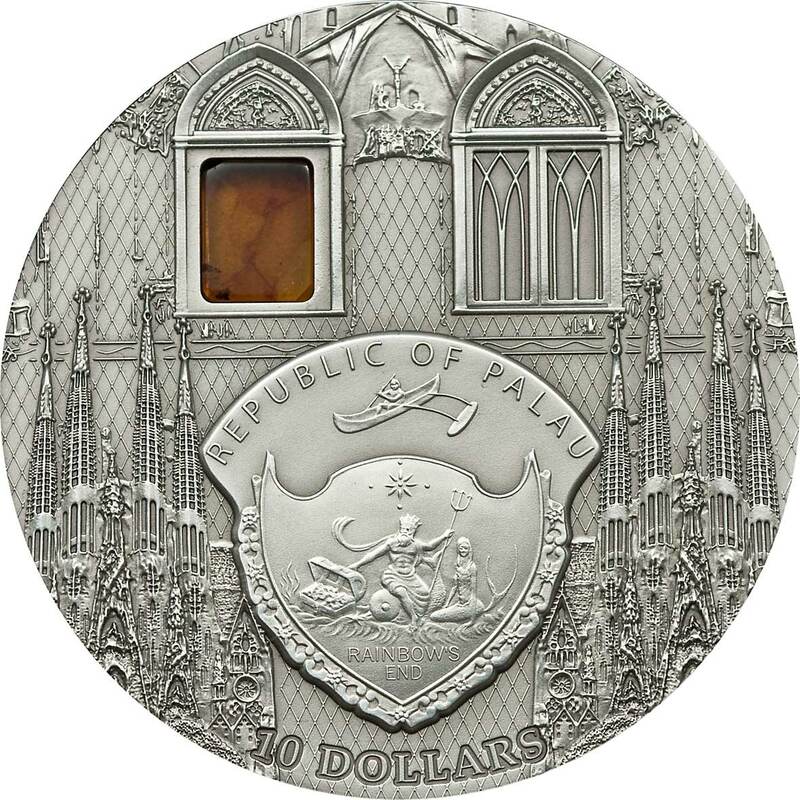 The obverse depicts the shield emblem of the Pacific island state of Palau, a common recipient of CIT issues. 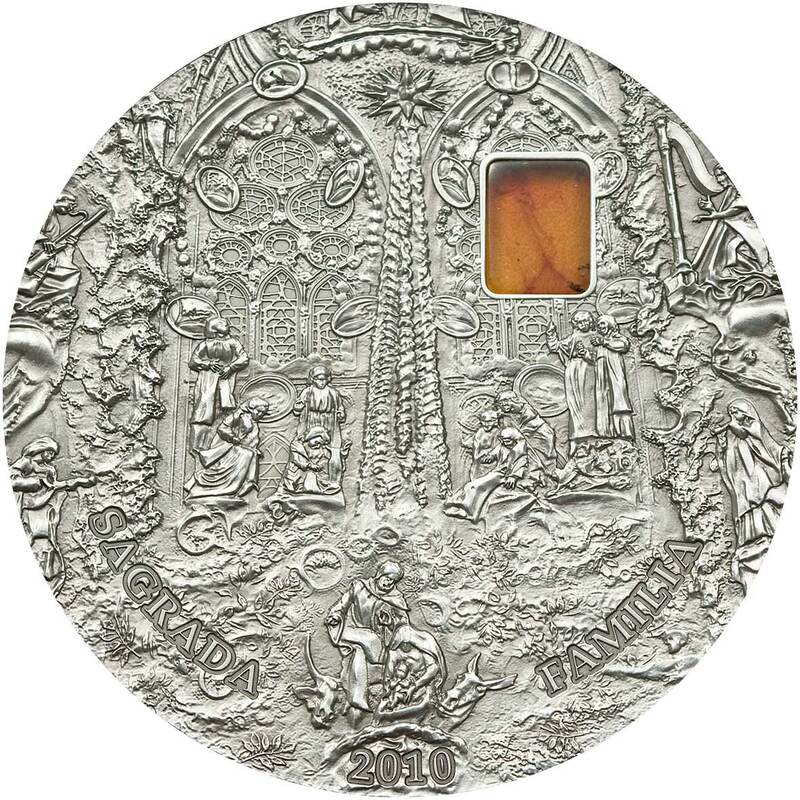 It’s one of the better-looking emblems out there and is usually handled very well, not distracting too much from the design, although again, the Sagrada coin is a bit of an exception. From 2015 onwards the reverse face now has a new series logo incorporated into the design composed of the series name, the coin issue date, and a small image of crystals, no doubt meant to symbolise minerals. Can’t say we’re fans of it here, it’s an unnecessary distraction although a nice design in itself. To help with collectability, the mintage of each release was dropped from 2,500 in 2009-2010 to a tighter 999, a number much more in keeping with the competition. This higher level of quality and lower mintage seems to have given new impetus to the range and they appear to be quite eagerly awaited every year. A big disappointment has been the lack of good presentation. 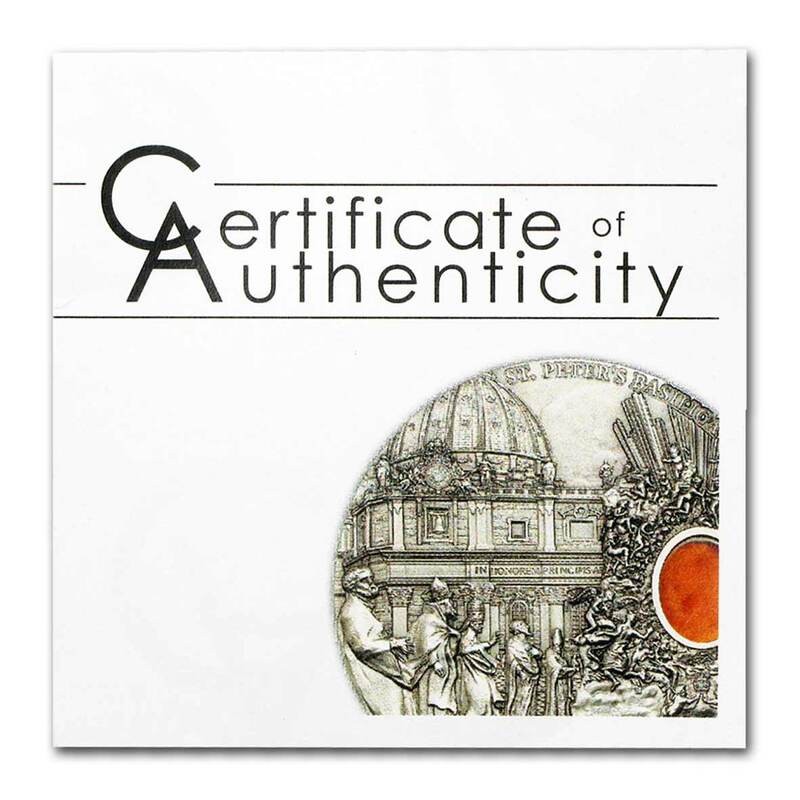 While Tiffany and Sacred Art have moved to having some very nice packaging, this series still comes in just a capsule with a small certificate of authenticity. We’d expect more from a two-ounce silver coin that debuts at €200 or more. 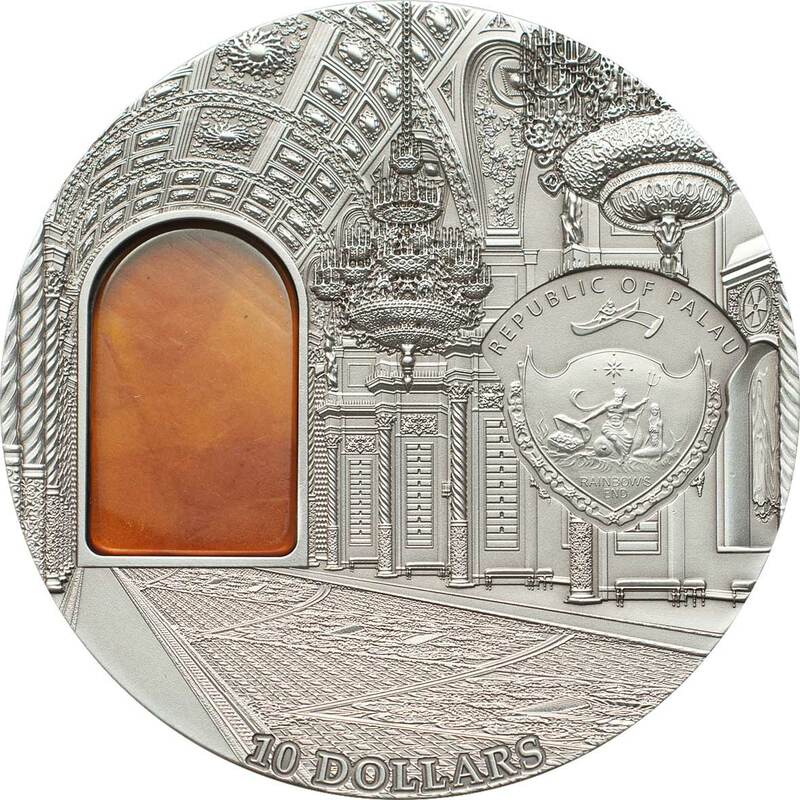 Now up to eight releases at the time of writing, we’re of the opinion that this is without question one of the top three architectural series of numismatics available today. 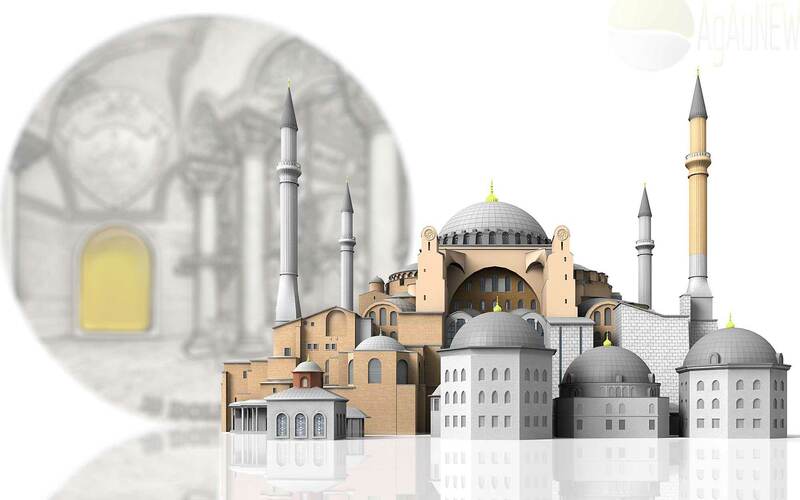 Hagia Sophia was a Greek Orthodox Christian patriarchal basilica, later converted into an Ottoman mosque, and now a museum (Ayasofya Müzesi) in Istanbul, Turkey. From the date of its construction in 537 AD, and until 1453, it served as an Orthodox cathedral and seat of the Patriarch of Constantinople, except between 1204 and 1261, when it was converted by the Fourth Crusaders to a Roman Catholic cathedral under the Latin Empire of Constantinople. The building was a mosque from 29 May 1453 until 1931. It was then secularized and opened as a museum on 1 February 1935. Famous in particular for its massive dome, it is considered the epitome of Byzantine architecture and is said to have “changed the history of architecture”. It remained the world’s largest cathedral for nearly a thousand years, until Seville Cathedral was completed in 1520. The current building was originally constructed as a church between 532 and 537 on the orders of the Byzantine Emperor Justinian I and was the third Church of the Holy Wisdom to occupy the site, the previous two having both been destroyed by rioters. It was designed by the Greek geometers Isidore of Miletus and Anthemius of Tralles. The Forbidden City was the Chinese imperial palace from the Ming dynasty to the end of the Qing dynasty—the years 1420 to 1912. It is located in the centre of Beijing, China, and now houses the Palace Museum. It served as the home of emperors and their households as well as the ceremonial and political centre of Chinese government for almost 500 years. Built in 1406 to 1420, the complex consists of 980 buildings and covers 72 ha (180 acres). The palace complex exemplifies traditional Chinese palatial architecture, and has influenced cultural and architectural developments in East Asia and elsewhere. The Forbidden City was declared a World Heritage Site in 1987, and is listed by UNESCO as the largest collection of preserved ancient wooden structures in the world. When Hongwu Emperor’s son Zhu Di became the Yongle Emperor, he moved the capital from Nanjing to Beijing, and construction began in 1406 on what would become the Forbidden City. Construction lasted 14 years and required more than a million workers. Material used include whole logs of precious Phoebe zhennan wood found in the jungles of south-western China, and large blocks of marble from quarries near Beijing. The floors of major halls were paved with “golden bricks”, specially baked paving bricks from Suzhou. From 1420 to 1644, the Forbidden City was the seat of the Ming dynasty. In April 1644, it was captured by rebel forces led by Li Zicheng, who proclaimed himself emperor of the Shun dynasty. He soon fled before the combined armies of former Ming general Wu Sangui and Manchu forces, setting fire to parts of the Forbidden City in the process. By October, the Manchus had achieved supremacy in northern China, and a ceremony was held at the Forbidden City to proclaim the young Shunzhi Emperor as ruler of all China under the Qing dynasty. The Qing rulers changed the names on some of the principal buildings, to emphasise “Harmony” rather than “Supremacy”, made the name plates bilingual (Chinese and Manchu), and introduced Shamanist elements to the palace. In 1860, during the Second Opium War, Anglo-French forces took control of the Forbidden City and occupied it until the end of the war. In 1900 Empress Dowager Cixi fled from the Forbidden City during the Boxer Rebellion, leaving it to be occupied by forces of the treaty powers until the following year. After being the home of 24 emperors – 14 of the Ming dynasty and 10 of the Qing dynasty – the Forbidden City ceased being the political centre of China in 1912 with the abdication of Puyi, the last Emperor of China. 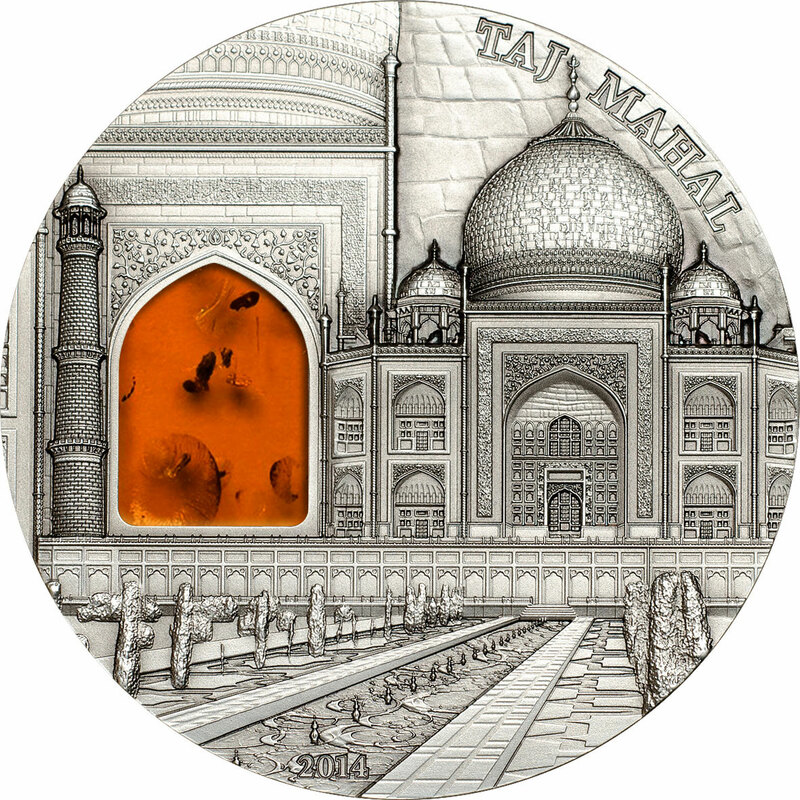 The Taj Mahal incorporates and expands on design traditions of Persian and earlier Mughal architecture. Specific inspiration came from successful Timurid and Mughal buildings including; the Gur-e Amir (the tomb of Timur, progenitor of the Mughal dynasty, in Samarkand), Humayun’s Tomb, Itmad-Ud-Daulah’s Tomb (sometimes called the Baby Taj), and Shah Jahan’s own Jama Masjid in Delhi. While earlier Mughal buildings were primarily constructed of red sandstone, Shah Jahan promoted the use of white marble inlaid with semi-precious stones. Buildings under his patronage reached new levels of refinement. The entire Taj complex consists of five major constituents; Darwaza (main gateway), Bageecha (gardens), Masjid (mosque), Naqqar Khana (rest house) and Rauza (main mausoleum). The tomb is the central focus of the entire complex. It’s a large, white marble structure standing on a square plinth and consists of a symmetrical building with an iwan (an arch-shaped doorway) topped by a large dome and finial. Like most Mughal tombs, the basic elements are Persian in origin. The dome is nearly 35 metres (115 ft) high which is close in measurement to the length of the base, and accentuated by the cylindrical “drum” it sits on which is approximately 7 metres (23 ft) high. Because of its shape, the dome is often called an onion dome or amrud (guava dome). The minarets, which are each more than 40 metres (130 ft) tall, display the designer’s penchant for symmetry. They were designed as working minarets—a traditional element of mosques, used by the muezzin to call the Islamic faithful to prayer. The Taj Mahal is built on a parcel of land to the south of the walled city of Agra. Shah Jahan presented Maharajah Jai Singh with a large palace in the center of Agra in exchange for the land. An area of roughly three acres was excavated, filled with dirt to reduce seepage, and leveled at 50 metres (160 ft) above riverbank. It covers an area of 42 acres in total with the terrain gradually sloping from south to north, towards the river Yamuna in the form of descending terraces. The Taj Mahal was constructed using materials from all over India and Asia. The plinth and tomb took roughly 12 years to complete. The remaining parts of the complex took an additional 10 years and were completed in order of minarets, mosque and jawab, and gateway. Since the complex was built in stages, discrepancies exist in completion dates due to differing opinions on “completion”. Construction of the mausoleum itself was essentially completed by 1643 while work continued on the outlying buildings. Estimates of the cost of construction vary due to difficulties in estimating costs across time. The total cost has been estimated to be about 32 million Indian rupees ($ 501,000 US) which is around 52.8 billion Indian rupees ($827 million US) based on 2015 values. One of the largest places of worship in the world, the Papal Basilica of St. Peter in the Vatican is a Renaissance church in Vatican City, a sovereign papal enclave situated within the boundaries of the Italian capital, Rome. One of the holiest sites in Catholisism, is is said to be the burial site of St. Peter, one of Christ’s Apostles and also the first in a millennia long line of Popes. St. Peter’s tomb is directly below the high altar of the Basilica. The church is huge and widely regarded as the ultimate expression of Renaissance architecture. Donato Bramante, Michelangelo, Carlo Maderno and Gian Lorenzo Bernini were primarily responsible for the design. The largest church in the world, it has a 211.5 m long nave with a dome 42 m in diameter and soaring 132.5 m high. Maderno’s front facade, clad in travertine, was modified from Michaelangelo’s original concept, although not heavily. Almost 115 m wide and 45.5 m high, the facade is topped with 5.7 m tall statues of Jesus Christ, John the Baptist and all the apostles except St. Peter. There has been a church on the site since the time of the reforming Roman Emperor Constantine the Great, but the present building began construction on 18 April 1506 and was completed over 120 years later on 18 November 1626. The basilica has a surface area of 15,160 square m and can accommodate 60,000 people. The interior is richly decorated, and adorned with statues and monuments, many by Italian master Gian Lorenzo Bernini, considered one of the greatest artists in history. The Moscow Kremlin, usually referred to as the Kremlin, is a fortified complex at the heart of Moscow, overlooking the Moskva River to the south, Saint Basil’s Cathedral and Red Square to the east, and the Alexander Garden to the west. It is the best known of the kremlins (Russian citadels) and includes five palaces, four cathedrals, and the enclosing Kremlin Wall with Kremlin towers. Also within this complex is the Grand Kremlin Palace. The complex serves as the official residence of the President of the Russian Federation. The existing Kremlin walls and towers were built by Italian masters over the years 1485 to 1495. The irregular triangle of the Kremlin wall encloses an area of 275,000 square meters (68 acres). Its overall length is 2,235 metres, but the height ranges from 5 to 19 meters, depending on the terrain. The wall’s thickness is between 3.5 and 6.5 meters. Originally there were eighteen Kremlin towers, but their number increased to twenty in the 17th century. All but three of the towers are square in plan. The highest tower is the Troitskaya, which was built up to its present height of 80 meters in 1495. Most towers were originally crowned with wooden tents; the extant brick tents with strips of colored tiles go back to the 1680s. Neuschwanstein Castle (“New Swanstone Castle”) is a nineteenth-century Romanesque Revival palace on a rugged hill above the village of Hohenschwangau near Füssen in southwest Bavaria, Germany. The palace was commissioned by Ludwig II of Bavaria as a retreat and as a homage to Richard Wagner. Ludwig paid for the palace out of his personal fortune and by means of extensive borrowing, rather than Bavarian public funds. Neuschwanstein Castle consists of several individual structures which were erected over a length of 150 metres on the top of a cliff ridge. The elongate building is furnished with numerous towers, ornamental turrets, gables, balconies, pinnacles and sculptures. Following Romanesque style, most window openings are fashioned as bi- and triforia. Before the backdrop of the Tegelberg and the Pöllat Gorge in the south and the Alpine foothills with their lakes in the north, the ensemble of individual buildings provides varying picturesque views of the palace from all directions. It was designed as the romantic ideal of a knight’s castle. Unlike “real” castles, whose building stock is in most cases the result of centuries of building activity, Neuschwanstein was planned from the inception as an intentionally asymmetric building, and erected in consecutive stages. Typical attributes of a castle were included, but real fortifications – the most important feature of a medieval aristocratic estate – were dispensed with. The Throne Hall, 20 by 12 metres, is situated in the west wing of the Palas. With its height of 13 metres it occupies the third and fourth floors. Julius Hofmann modelled it after the Allerheiligen-Hofkirche in the Munich Residenz. On three sides it is surrounded by colorful arcades, ending in an apse that was intended to hold Ludwig’s throne – which was never completed. The throne dais is surrounded by paintings of Jesus, the Twelve Apostles and six canonized kings. The mural paintings were created by Wilhelm Hauschild. The floor mosaic was completed after the king’s death. The chandelier is fashioned after a Byzantine crown. The Throne Hall makes a sacral impression. Following the king’s wish, it amalgamated the Grail Hall from Parzival with a symbol of the divine right of kings, an incorporation of unrestricted sovereign power, which Ludwig as the head of a constitutional monarchy no longer held. The union of the sacral and regal is emphasized by the portraits in the apse of six canonized kings: Saint Louis of France, Saint Stephen of Hungary, Saint Edward the Confessor of England, Saint Wenceslaus of Bohemia, Saint Olaf of Norway and Saint Henry, Holy Roman Emperor. The Basílica i Temple Expiatori de la Sagrada Família (Basilica and Expiatory Church of the Holy Family) is a large Roman Catholic church in Barcelona, designed by Catalan Spanish architect Antoni Gaudí (1852–1926). Gaudí’s work on the building is part of a UNESCO World Heritage Site, and in November 2010 Pope Benedict XVI consecrated and proclaimed it a minor basilica, as distinct from a cathedral, which must be the seat of a bishop. In common with Catalan and many other European Gothic cathedrals, the Sagrada Família is short in comparison to its width, and has a great complexity of parts, which include double aisles, an ambulatory with a chevet of seven apsidal chapels, a multitude of towers and three portals, each widely different in structure as well as ornament. Gaudí’s original design calls for a total of eighteen spires, representing in ascending order of height the Twelve Apostles, the Virgin Mary, the four Evangelists and, tallest of all, Jesus Christ. Eight spires have been built as of 2010, corresponding to four apostles at the Nativity façade and four apostles at the Passion façade. The Church will have three grand façades: the Nativity façade to the East, the Passion façade to the West, and the Glory façade to the South (yet to be completed). The Nativity Façade was built before work was interrupted in 1935 and bears the most direct Gaudí influence. The Passion façade was built after the project which Gaudi planned in 1917. The construction began in 1954, and the towers, built over the elliptical plan, were finished in 1976. It is especially striking for its spare, gaunt, tormented characters, including emaciated figures of Christ being scourged at the pillar; and Christ on the Cross. These controversial designs are the work of Josep Maria Subirachs. The Glory façade, on which construction began in 2002, will be the largest and most monumental of the three and will represent one’s ascension to God. It will also depict various scenes such as Hell, Purgatory, and will include elements such as the Seven Deadly Sins and the Seven Heavenly Virtues. The church plan is that of a Latin cross with five aisles. The central nave vaults reach 45 metres while the side nave vaults reach 30 metres. The transept has three aisles. The columns are on a 7.5 metre grid. However, the columns of the apse, resting on del Villar’s foundation, do not adhere to the grid, requiring a section of columns of the ambulatory to transition to the grid thus creating a horseshoe pattern to the layout of those columns. The crossing rests on the four central columns of porphyry supporting a great hyperboloid surrounded by two rings of twelve hyperboloids (currently under construction). The central vault reaches 60 metres. The apse is capped by a hyperboloid vault reaching 75 metres. Gaudí intended that a visitor standing at the main entrance be able to see the vaults of the nave, crossing, and apse; thus the graduated increase in vault loft. The Amber Room or Yantarnaya Komnata, is a world-famous chamber decorated in amber panels backed with gold leaf and mirrors, located in the Catherine Palace of Tsarskoye Selo near Saint Petersburg. Originally constructed in the 18th century in Prussia, the Amber Room disappeared during World War II and was recreated in 2003. Before the room was lost, it was considered an “Eighth Wonder of the World”. 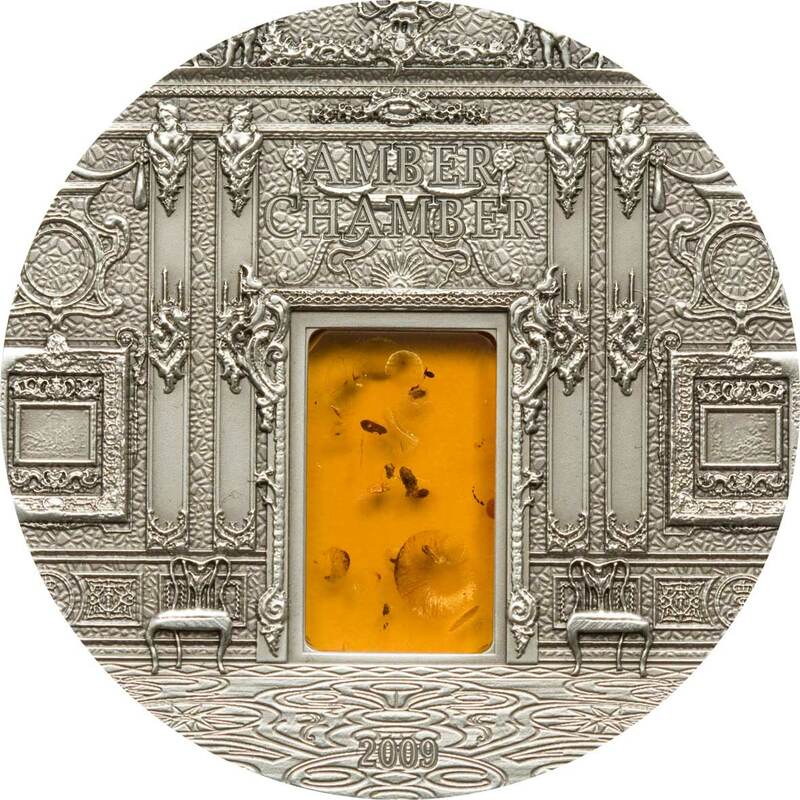 Construction of the Amber Room first took place around 1701 in Prussia. The room was designed by German baroque sculptor Andreas Schlüter and Danish amber craftsman Gottfried Wolfram. Schlüter and Wolfram worked on the room until 1707, when work was continued by amber masters Gottfried Turau and Ernst Schacht from Danzig. The amber cabinet remained in the Berlin City Palace until 1716 when it was given by the Prussian King Frederick William I to his then ally, Tsar Peter the Great of the Russian Empire. In Russia, the room was expanded and after several renovations, it covered more than 55 square metres and contained over 6 tonnes of amber. The Amber Room was looted during World War II by Army Group North of Nazi Germany and brought to Königsberg for reconstruction and display. Its current whereabouts remain a mystery. In 1979, efforts were undertaken to rebuild the Amber Room at Tsarskoye Selo. In 2003, after decades of work by Russian craftsmen and donations from Germany, the reconstructed Amber Room was inaugurated at the Catherine Palace near Saint Petersburg. These coins have a higher-end specification that the typical proof one-ounce numismatic, but one surprisingly mainstream for this particular genre. 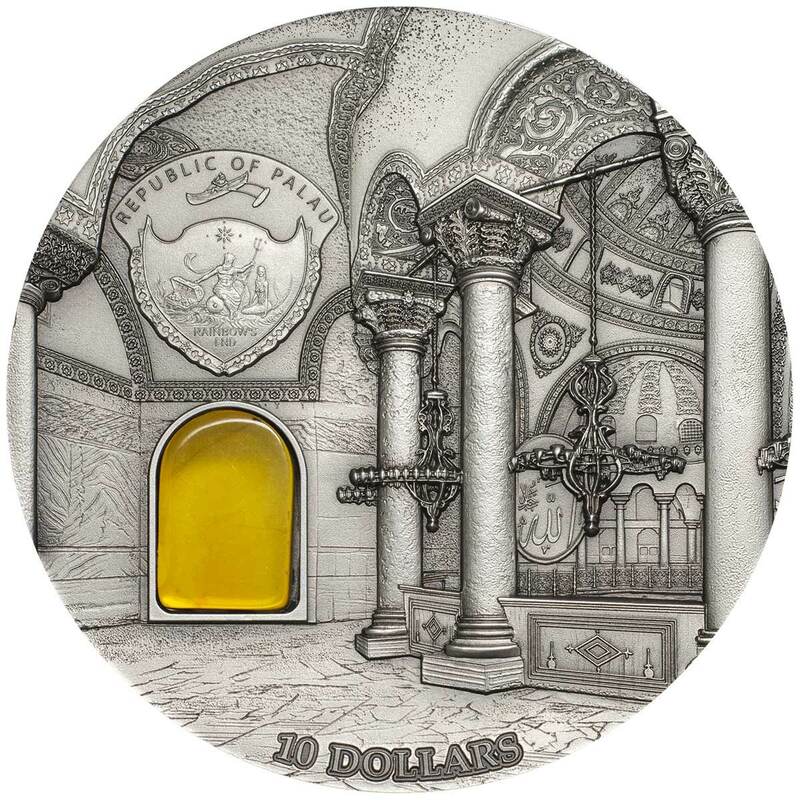 Coin Invest Trust set a bar with the 50 mm diameter, two troy ounce, antique-finish, mineral adorned format when they debuted the Tiffany Art series back in 2004. 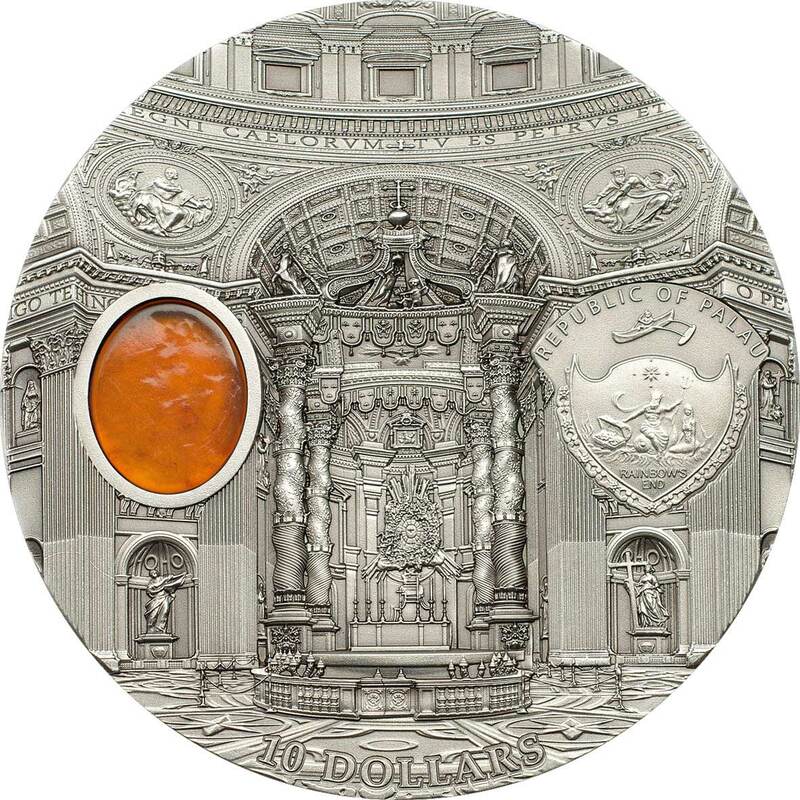 This has since become almost the default format for the high-end art-architectural coin. As time has passed, not just with this series, but with Tiffany as well, the level of relief, detail and design excellence has been on an upward trajectory. 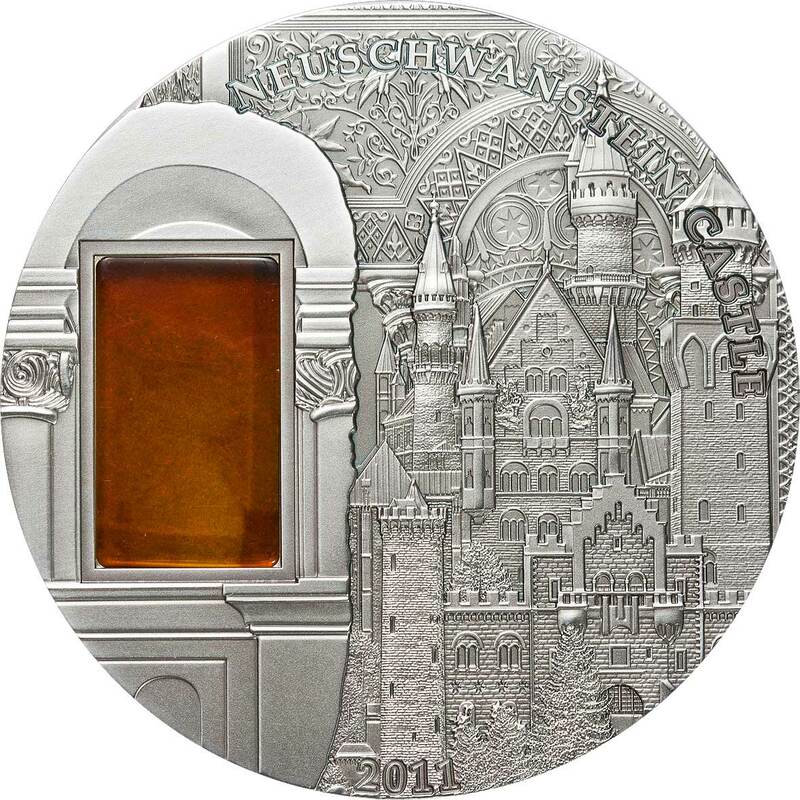 The recent coins in this range are simply superb. This particular combination of weight and diameter has proven itself to be particularly effective, to such a degree that the equally popular ancient mythology genre of numismatics has adopted it as well. 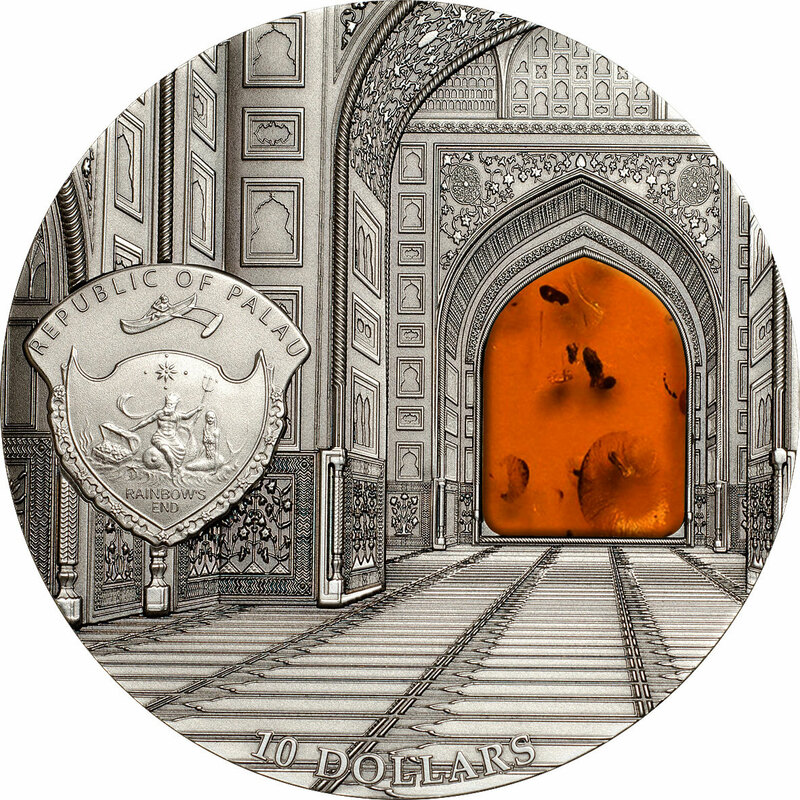 Unlike Tiffany however, there have been no one-kilo versions of these coins produced, although a one-kilo Taj Mahal coin was produced by Moneda Nueva with great success. Great overview of the Mineral Arts series, especially for someone like me jumping in late & trying to catch up With past issues. Also, your analysis is very accurate & bolsters my own opinion about how good these issues really are-makes it easier to purchase having your series as a reference. Great job Mik-efforts much appreciated. Thank you, Harry. We’re trying to find out if the series is to continue in its original form. CIT has issued a one-kilo Forbidden City variant for 2018, but that’s more of a halo piece than a continuation. Mik, Were you able to find out if the Mineral Arts series will continue or is it done? Would be a shame if it’s over,don’t you think? It’s gotten better with each new issue,so why stop now? Harry, while we don’t have further details on the what and when yet, we’ve been told the series will definitely continue. Great news I think. In the meantime, CIT did a 1kg version of the Forbidden City design with an 88 mintage.A pricey beast, but hugely impressive.